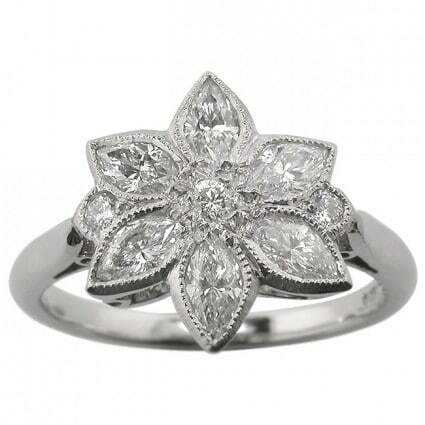 At the moment, there is an abundance of choices available when it comes to rings. Whether you are looking for an engagement ring or a wedding band, you will be overwhelmed by the impressive amount of options you have at your disposal. 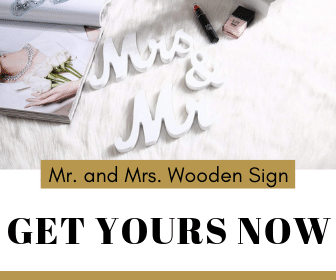 Our small antique ring style guide is meant to provide you with a few valuable ideas if you are in search of a character-filled ring for your significant other. The ideal ring needs to meet series of core criteria to have a powerful impact on the person it is intended for. While living up to the expectations of the recipient is by far the most significant desideratum, the price and the availability of the jewel also bear particular importance. Moreover, the ring needs to be a symbol of the relationship between two people, which makes it imperative for it to be unique. This is actually an aspect that is quite difficult to achieve when the vast majority of options are quite difficult to set apart one from another. This is precisely what sets antique rings apart from the mass-produced mainstream versions available in jewelry stores and online shops. Presenting your partner with a vintage ring can make them feel that they are a part of something greater than themselves, something that can endure through the passage of time. While it might seem that such rings will be difficult to find or that they might come at an exuberant price, rest assured that there are quite a few options available for you on the World Wide Web, as long as you have an idea of what you are looking for. We are going to present you 6 valuable ideas in the hope that we might be able to offer you some inspiration for your search. 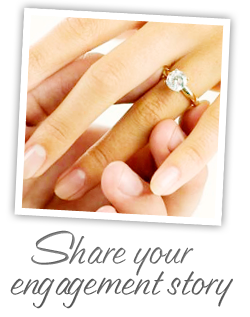 Glance through them and maybe you can get one step closer to your ideal ring. The period between 1714 and 1837 is defined as the Georgian era, and the jewelry crafted in those times was a symbol of the wealth and opulence of the great lords who wore them. Some of the core themes which can be observed in Georgian jewelry are the use of butterflies, ribbons, and flowers. These are an excellent choice if you are searching for antique engagement rings because diamonds were the center theme of the greatest part of this age. What sets these rings apart is the fact that most of the stones used for them were not especially cut for the jewels. Instead, they were used almost in their initial shape, which provides them with an imposing character and marked individuality. The first thing you should be aware of is the fact that a Georgian ring will stand out in any given crowd because it was created to do exactly this. Therefore, the person you should buy this for is an extrovert who will display the ring with pride and who will enjoy receiving praise for the exquisite jewel. The Victorian era spans from 1837 to 1901 and relays the influence of the young and beautiful Queen Victoria. The rings from that period were meant to be worn for special occasions only as they were viewed as impractical for day-to-day use. 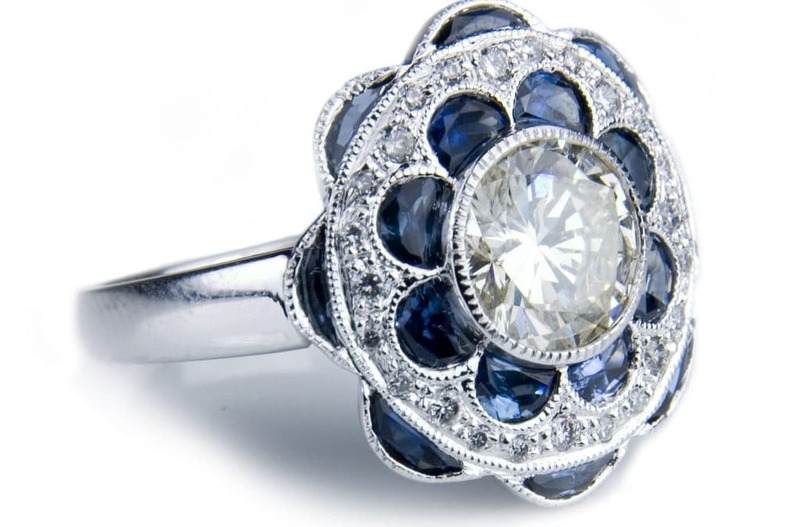 Victorian rings have put great emphasis on birthstones, rather than diamonds, which makes them a valuable option for those in search of vintage engagement rings. 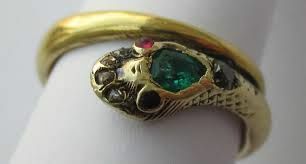 The famous Victorian snake ring was Queen Victoria’s engagement ring. It is by far the most representative item of the entire era as it bears all the main characteristics of the period: bright colors, bold size, and the use of gemstones. 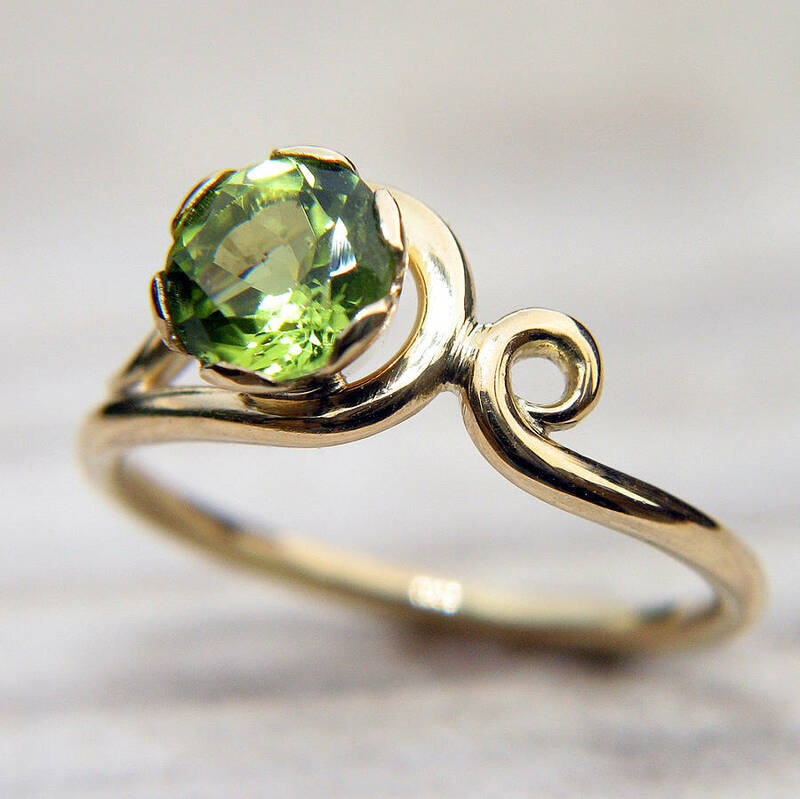 If your significant other values her unique style and enjoys making fashion choices that are out of the ordinary, then a Victorian style ring might be the ideal choice for an engagement ring, as well as a wedding band. Set between 1890 and 1910, the Art Nouveau era overlaps with both the Victorian and the Edwardian period. This period aimed to represent art as a part of day-to-day life and look towards nature as the main source of inspiration. Therefore, most pieces display a light build with a great emphasis on representing natural themes. Art Nouveau actually means “New Art” and the great jewelers of those times experimented with great many novel materials, such as shell, copper, and horn. Enameling techniques were greatly utilized to create the jewel pieces, and most craftsmen opted for gemstones rather than diamonds. 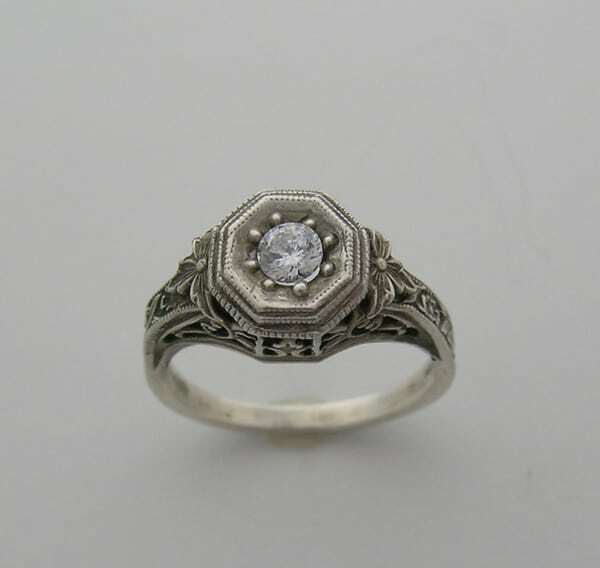 The ideal bearers of Art Nouveau themed antique wedding rings are dreamers. They are sensible people who put a great emphasis on symbolism and their connection with nature. The Edwardian era starts in 1901 and spans across the reign of King Edward VII all the way to 1910. The jewelry of this era is delicate, and it is meant to relay the carefree atmosphere of those years. One of the notable themes of those years is the use of flowers in the design of the jewelry, as Queen Alexandra was exceptionally passionate about flowers. Popular patterns utilized for this type of jewelry are geometrical styles combined with flowers, leaves, the moon and stars, as well as hearts and shamrocks. 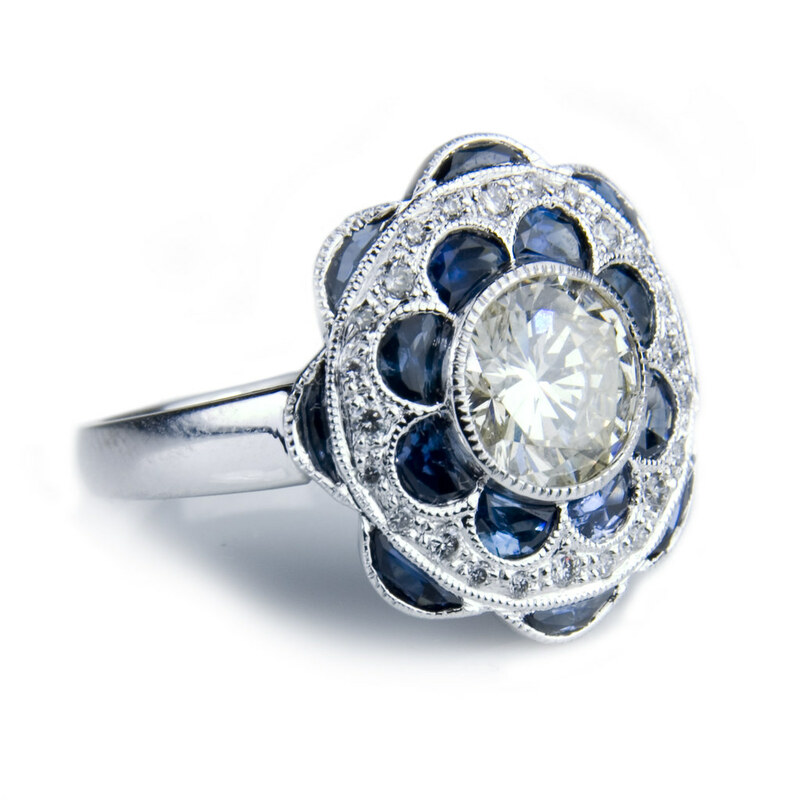 Edwardian style rings make for great antique engagement rings particularly because they symbolize the delicate nature of love. 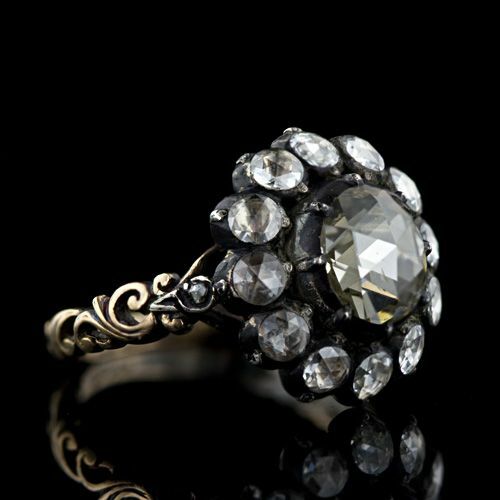 Edwardian style vintage antique engagement rings are ideal for elegant women who can be described as timeless beauties. They are also exceptionally strong, in spite of the fact that they might appear fragile at first glance. 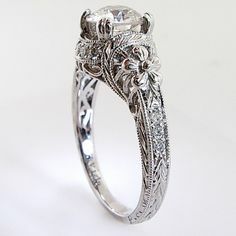 The Art Deco era, which spans from 1920 to 1935 is the second golden age of antique diamond rings because jewelers greatly employed cutting edge manufacturing techniques. Thus, the pieces from that era were bold and notably different from anything that world had ever seen before. Art Deco jewelry symbolizes optimism and the great benefits brought on by technological development. It also featured a heavy use of geometrical patterns alongside exotic shapes of African, Egyptian, Oriental, and American Indian origins. While rubies, jade, black onyx and emeralds were greatly used, the diamond remained the central symbol of the era. Art Deco jewelry is ideal for extravagant people who lead exhilarating lives and who enjoy being the center of attention in any given situation. They take great pride in their unique sense of style and can always match the strength of the jewels with a powerful personality. Retro style rings are larger than life and they will easily catch anybody’s eye with their opulent style and unique manner of complimenting femininity. The era began in 1935 and lasted all the way to 1945. Hollywood had a great influence during this period as every woman wanted to be a part of the glamor they saw on the big screen. 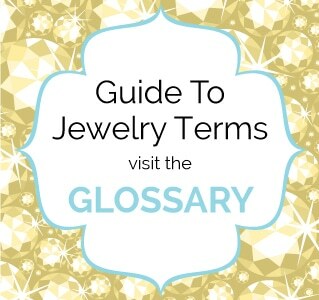 Thus, the jewelry became bigger and bolder through everything from the shape and size of the stones used by jewelers to the extravagant mix of colors that characterized most of the pieces from that time. Retro rings are exclusively destined for women who have a great love for art and glamor. They are the perfect embodiment of the retro period because they can overcome any obstacle by putting on a brave face and by maintaining a strong and imposing attitude. 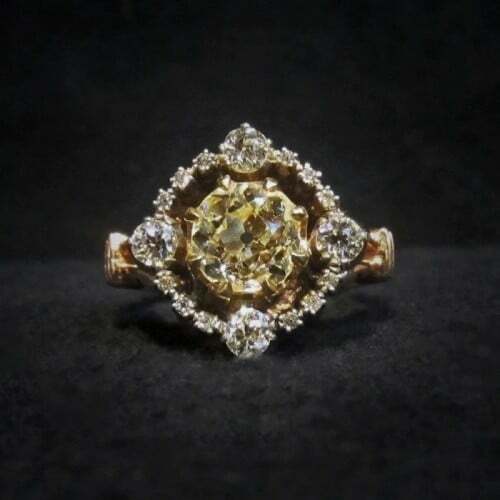 Opting for an antique ring is bound to impress your significant other, especially if you succeed to find the perfect ring for their personality. Begin by choosing the appropriate style, and then surf the internet to find your best options. Make a wish list and then go the retail stores connected to the websites to see the rings personally. You can expect to spend from $500 to as much as you can pay. 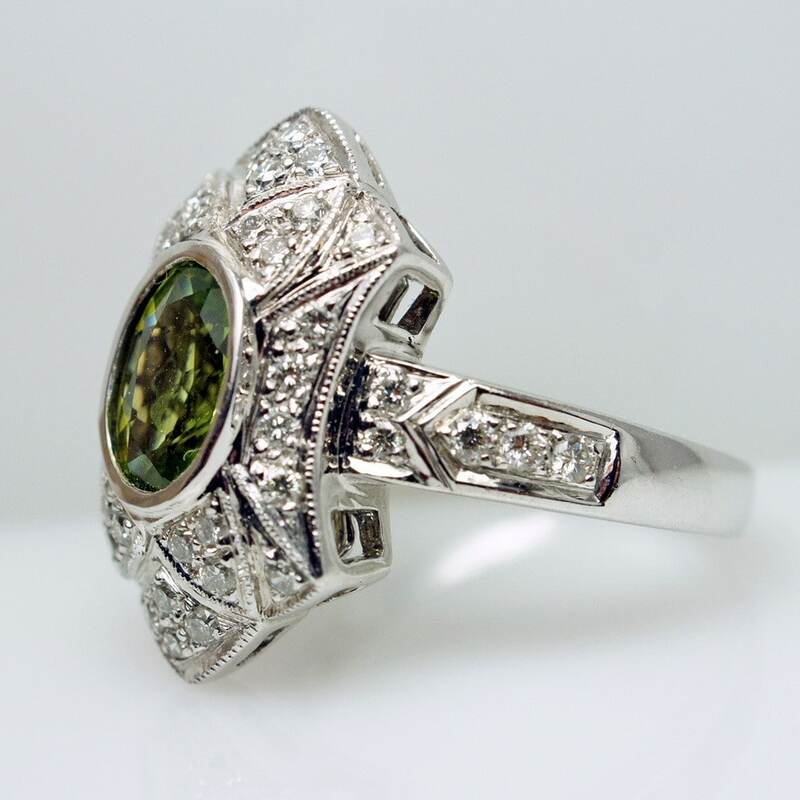 As for other rings, the price depends on the characteristics of the stone. Moreover, the historical value of the ring will also contribute to the final price of the ring. The state in which the ring is found is also of great importance for setting the cost, as it needs to be properly preserved to reach up to its full potential. 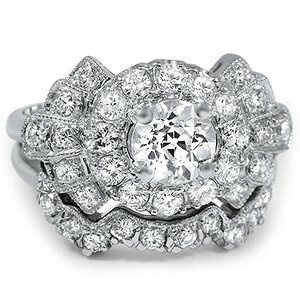 In spite of all the additional work, a vintage ring will have a particular charm that no modern one could achieve. We hope we have provided you with useful advice in our antique ring style guide and that you manage to find the best possible ring for your significant other.